I’m a graduating senior in the Human Biology program. With this I want to become a physical therapist, ideally involved in neuro-rehabilitation of athletes. I was born and raised on the western side of the California Sierras, in actually northern California. The town was founded in the mid 1800s when gold was discovered at Sutter’s Fort- which is now called Sutter Creek- and is 5 miles away from where I grew up. When I entered high school, the population of the town was about 2,000 people, and when I left high school, the town had expanded its borders to encompass roughly 4,000 people. This monumental expansion also tripled the number of stoplights in the town… to 6. The demographics are unsurprisingly unvaried. Nearly 90% of the population is Caucasian, comprising a near ubiquitous conservative political stance and community focus. I’m pretty sure my parents wanted me out of the house as a kid, because I played sports year round starting at age 5: soccer, tee ball, and basketball. This eventually changed to include football, basketball, and baseball. I played on tons of summer leagues, traveling teams, and of course for the local high school. As a high school, we were terrible at everything except football. We were great at smashing into things recklessly. I chose to go to college for academics. Well, I was deciding between playing baseball or football in college when a pick up basketball game in a freak rain storm decided for me with a handful of torn ligaments. So then I came to college, put my nose in the books and was bored pretty much instantly. I attended the cycling team meeting as a freshman hoping there would be a mountain bike option, and the then president of the triathlon team, Sante, convinced me to stay for the triathlon meeting. Thank god I didn’t join the cycling team, I would have been even more douchey and injured. The team gave me the competitive aspect that I was missing, and it let me really take advantage of San Diego. None. I have no background in any of them. They are all, still, pretty much a mystery to me. Eventually I’d like to be able to physiologically and anatomically break down the mechanics of each of the three sports and really understand what the hell is going on. Then I’d like them more. 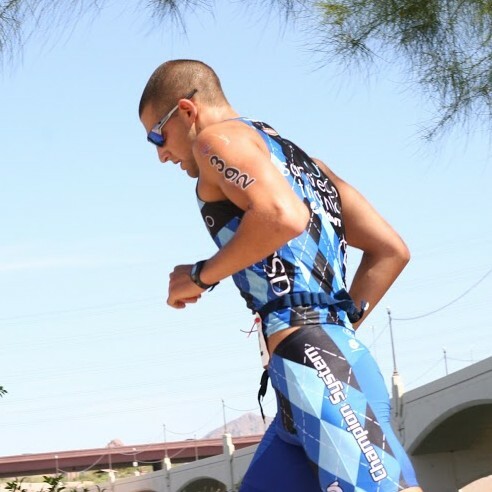 “Triathlon is sport where you want to kill yourself the whole time you’re doing it, but after you exit the hellacious pain cave, all you want to do is get back in.”- Peter Borak, the pro who isn’t pro because of the Great Costco Oil Spill of 1994. CLEAN WARS. Just kidding, that sh*t is miserable. Any bike ride where I explore a new route and find something awesome and unexpected, like the magic bridge adjacent to the Avocado Highway. 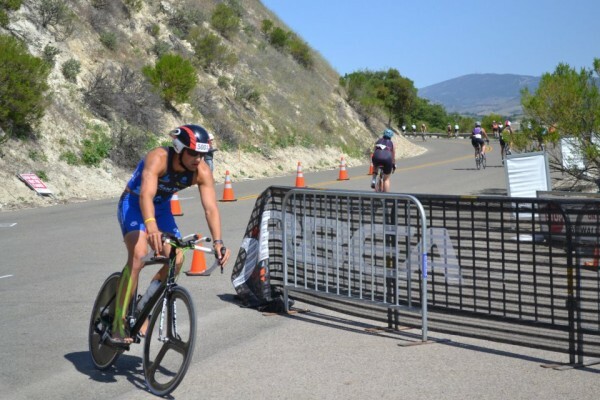 Wildflower Long Course 2013. On pace to hit 5:15 until mile 11.5 of the run (68.7 miles out of 70.3). I bonked, exploded, caved, cracked, crumbled, and blacked out. I don’t remember any of that remaining 1.5 mile stretch, all I know is it took me 30 minutes and I came to in the medical tent with 2 bags of saline in me. For some twisted reason I’m really proud of finishing that race. I toed the line in great shape for Olympic distance, and had never run a 10+ mile transition run before. I’ll be out there again next year, looking for 5:15. I guess it’d be more of a long chain of events rolled into one giant mistake. I took a brand new road bike and over the course of two years mangled and mauled just about every piece of moving equipment on that bike due to crashes, lack of treatment, over treatment, over tightening, etc. Then I sold it- oops. Graduate. 1 class left, and I’ll be out of UCSD in late March with a mustache on my face and Conference on my mind. Triathlon wise, 5:15 at WF. Making the nationals team with the caliber of team we have would be a solid accomplishment as well, this year especially the competition on the team rivals any NCAA sport on campus. I’m one of the biggest nerds on the team, and was actually an OChem tutor for a year. You’ve done other sports in the past (baseball and football etc). 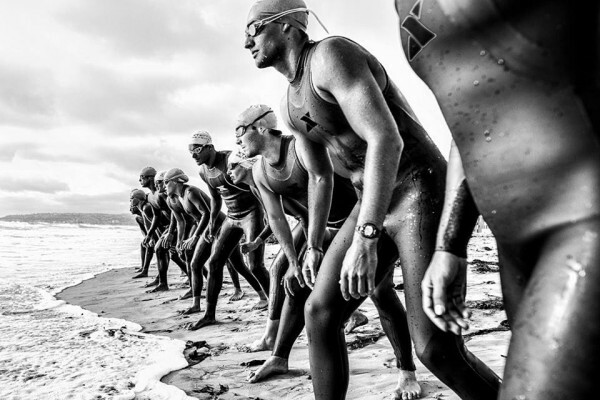 How does triathlon compare to those in terms of team dynamic and day to day training? With team sports such as baseball and football, the conditioning and such is rewarded with playing. Ya know, practice scrimmages or some kind of game simulation drill that gets the adrenaline going and lets the endorphins kick in. You have a pretty good idea of what you can do in the game since it’s simulated so often. With triathlon, conditioning is “playing.” You, at least me personally, don’t know exactly what you’ll be able to do in a race because on our training plan you run 5k pace for 18k instead of 5k. So that’s been weird, but being with my friends makes it a lot better. They all say I complain too much, but if we did more fun things instead of running in circles all the damn time, I’d be way more lively and joyful. You’re been spending a lot of time as an intern at a phystical therapy office, and plan to become a PT yourself, what ultimately drove you to this career, and what is the craziest thing you have witnessed while working for Gino? Being injured my whole life primarily. Ever since the knee trouble I caused myself after gallantly leaping from my second story banister, I’ve been in and out of hospitals, ER’s, and physical therapy offices. It’s a unique health profession that allows you to have an empirically based practice that is respected in the science community while developing a personal relationship with the clientele instead of charting all the dang time, and doesn’t take 18 years of post undergraduate schooling. PTs also are at a really interesting crossroad between learning and teaching, something I really enjoy. Craziest thing? I saw a Marine veteran get his hip dislocated, and relocated in the right spot. He said it had been “out” since the Korean war. You are a big fan of trying different routes, what is your favourite route in San Diego and when/where was your all time favourite ride? Doing Rancho all the time is SO BORING. If you’ve been on the team for as long as I can, you can inform the person behind you of the impending pot hole 6 stoplights in advance. It’s the worst. Favorite route would be the time I found a magic bridge next to the Avocado Freeway in Escondido, which takes you a back route to Del Dios Highway, and then back through Rancho. Craig, Marcel, Dave, and I left for the “40” mile ride. Only Dave and I made it back on our bikes. It was the masochists dream ride, all 63 miles of it.